● Patent pending Flex-Tough blades last twice as long and can be removed and replaced without tooling. ● Blades easily conform to all surfaces with no chatter like hard rubber. ● Handle is virtually unbreakable and shock absorbing. 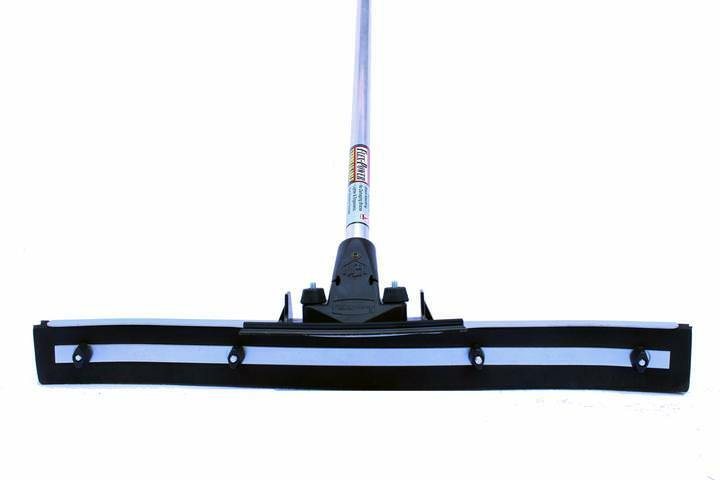 ● EasyFlipTM blades double the lifespan of your squeegee by allowing you to use both sides of the blade. ● Flex-Tough All Terrain blades can be used on multiple types of surfaces. ● When the time comes, you only need to replace the blades!